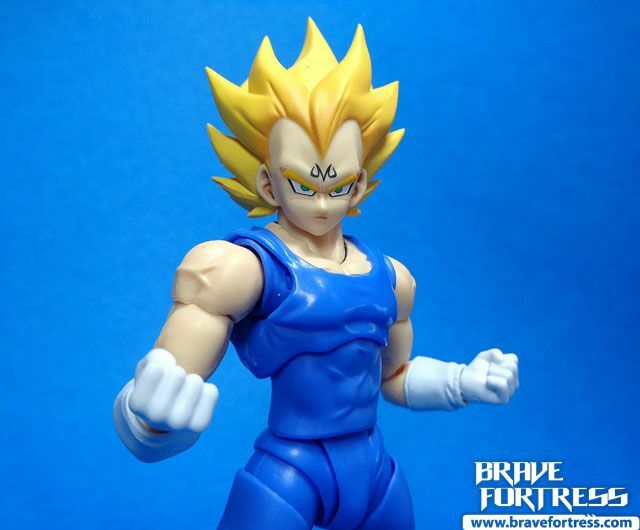 Majin Vegeta was one of the coolest things to happen at the end of the DBZ and Majin Boo saga. 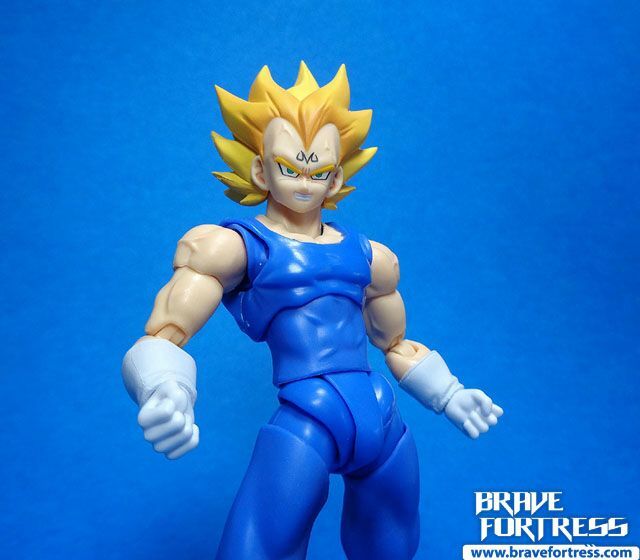 With Vegeta becoming evil again, we finally get to see a proper Goku vs. Vegeta showdown in their Super Saiyan forms and boy, did that battle deliver. 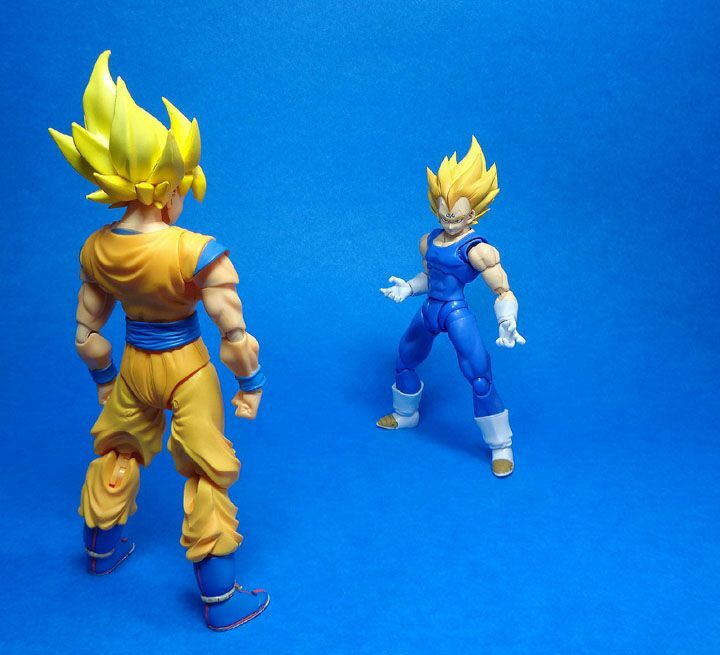 Easily one of my favorite scenes in the whole Dragon Ball Z series. 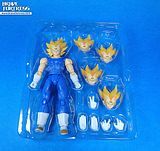 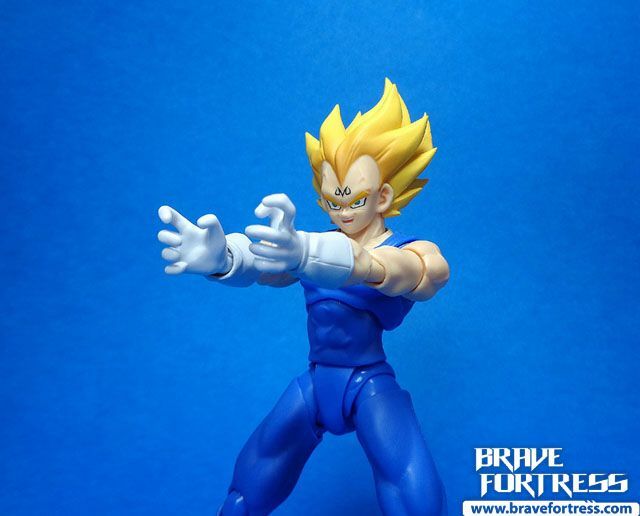 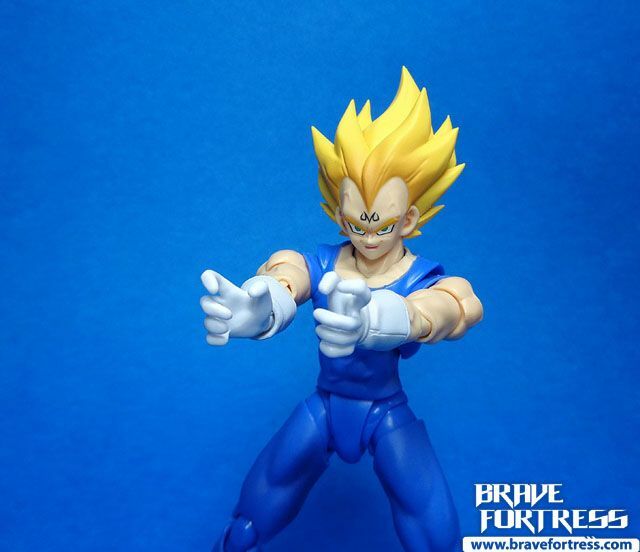 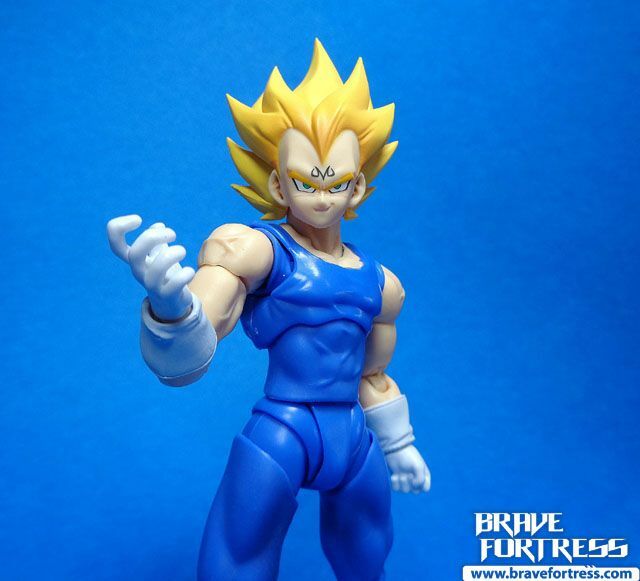 Majin Vegeta comes with 5 different faces. 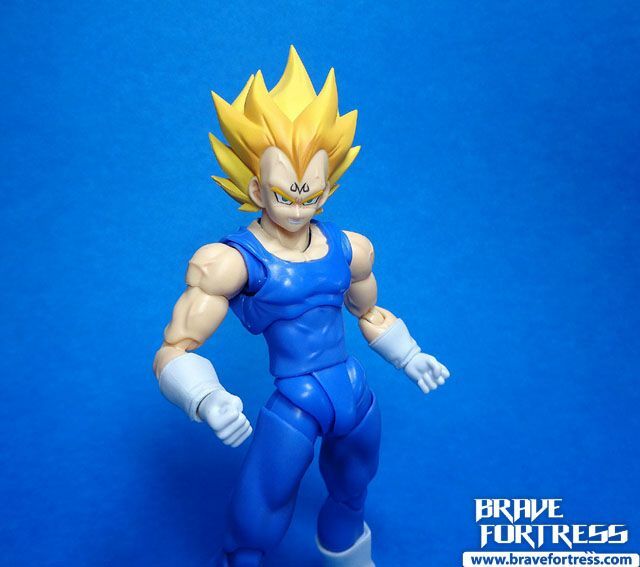 Do note that for some reason, the face that’s supposed to have eyes looking to the right (see back of the box) is now looking forward (it’s the “neutral” face with a vein popping out of his left temple). 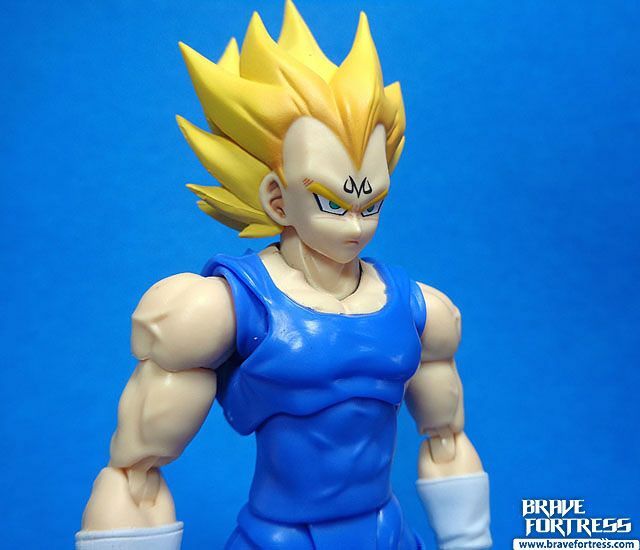 Either it’s a running change in the production line or Bandai goofed up. 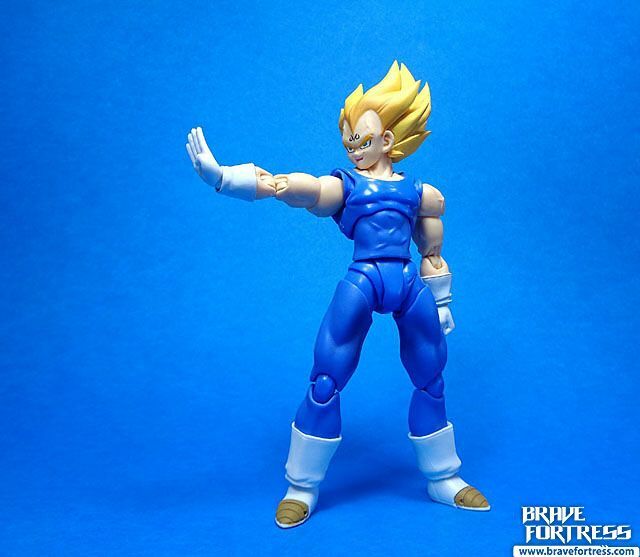 This is supposedly the same issue with all S.H. 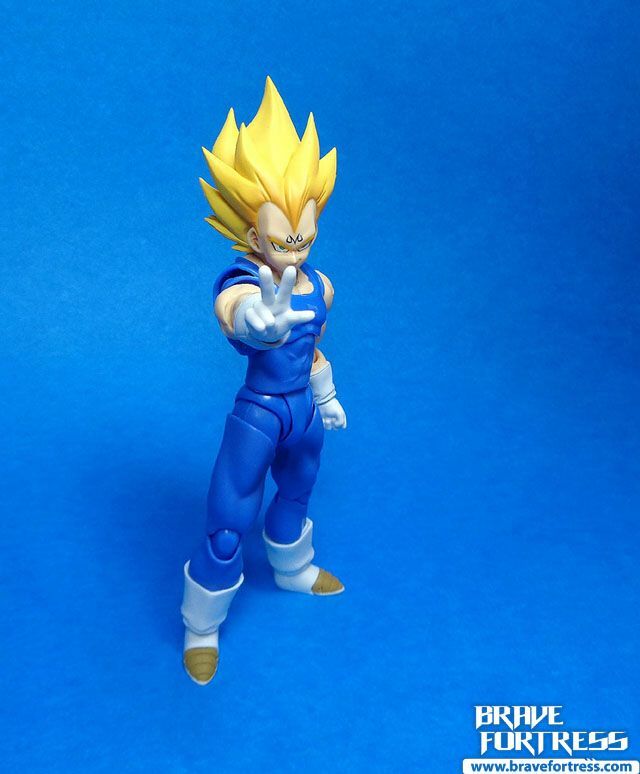 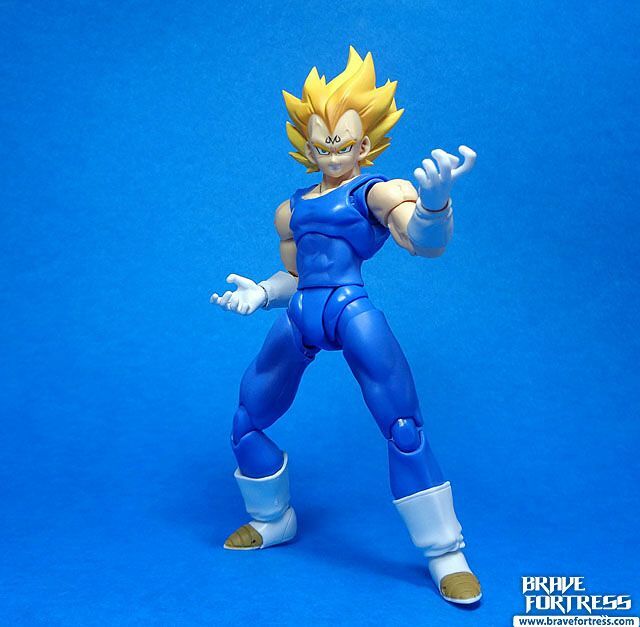 Figuarts Majin Vegeta releases and not an isolated incident (I had to ask our local Bandai distributor, Greattoys, about this and he confirmed it). 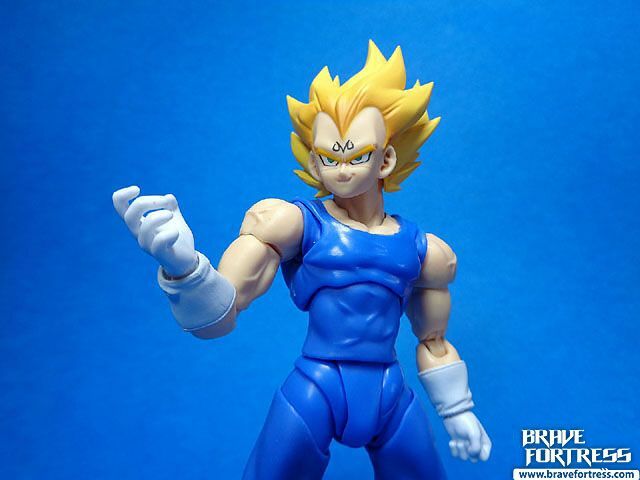 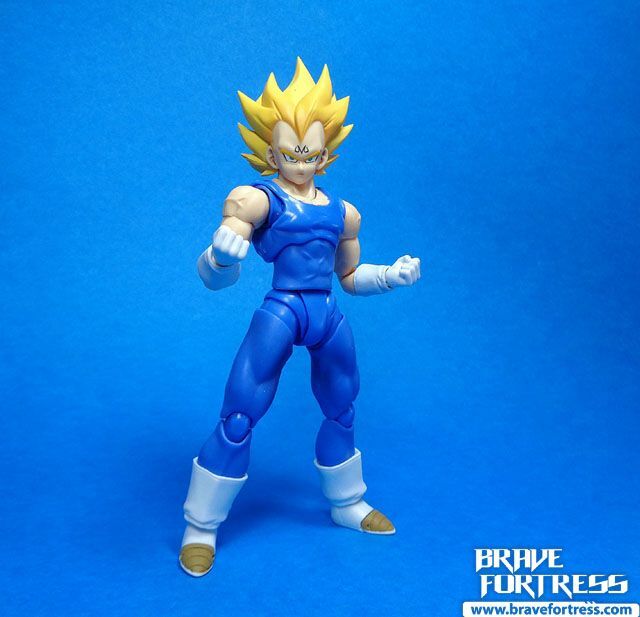 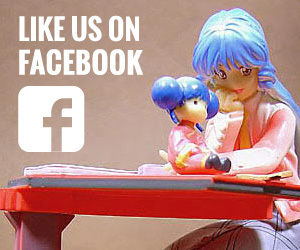 The face from Super Saiyan Vegeta fits a bit on this figure but it’s not perfect. 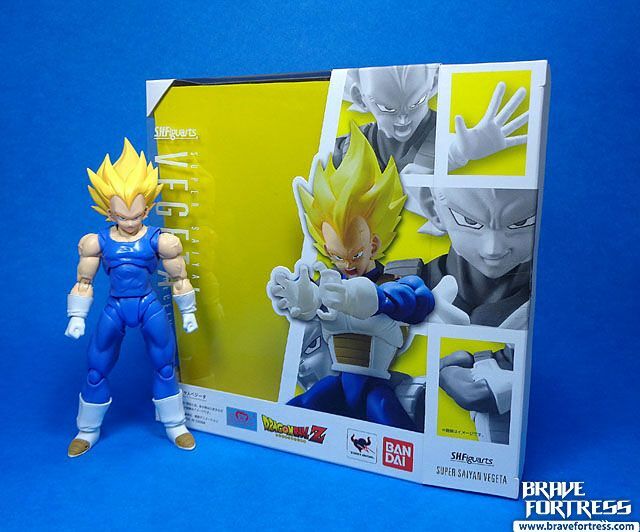 The peg holes are a bit wider on the new release. 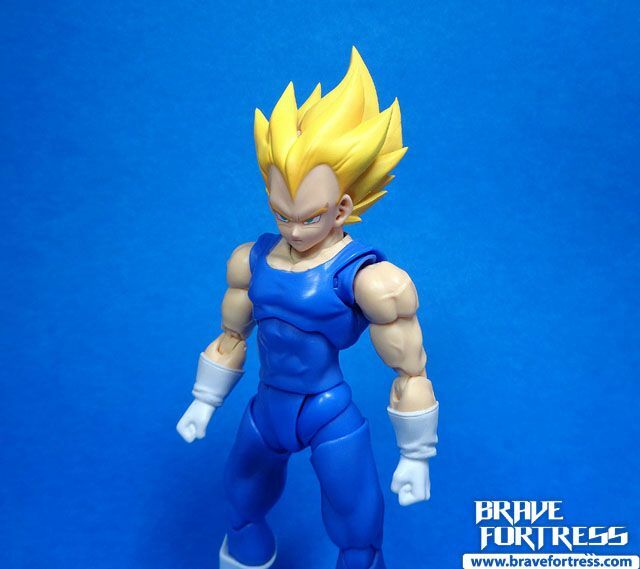 But at least it’s an option for making “good guy” Majin Boo saga Vegeta. 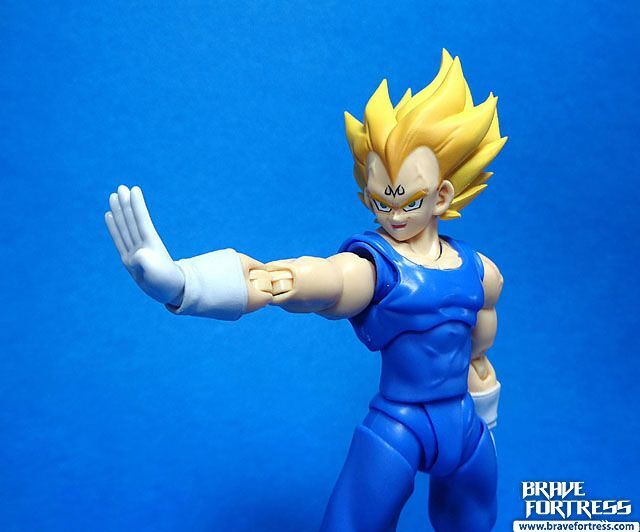 Time to settle things, Kakarot! 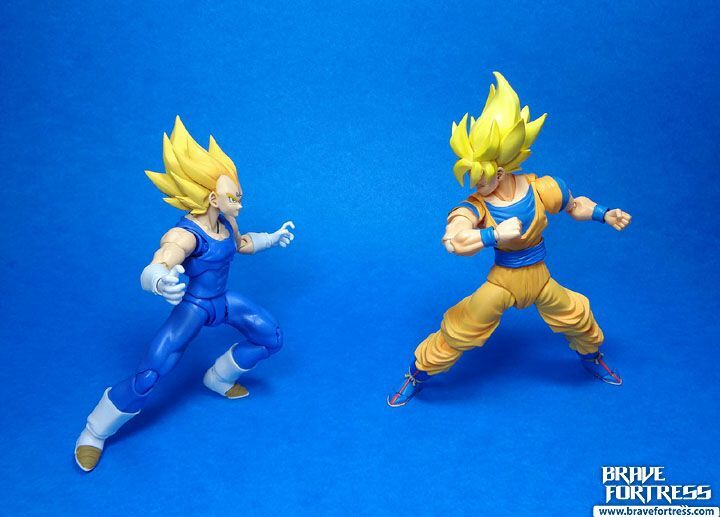 Goku and Vegeta were evenly matched in this one, but Goku could’ve easily won if he went Super Saiyan 3 from the start. 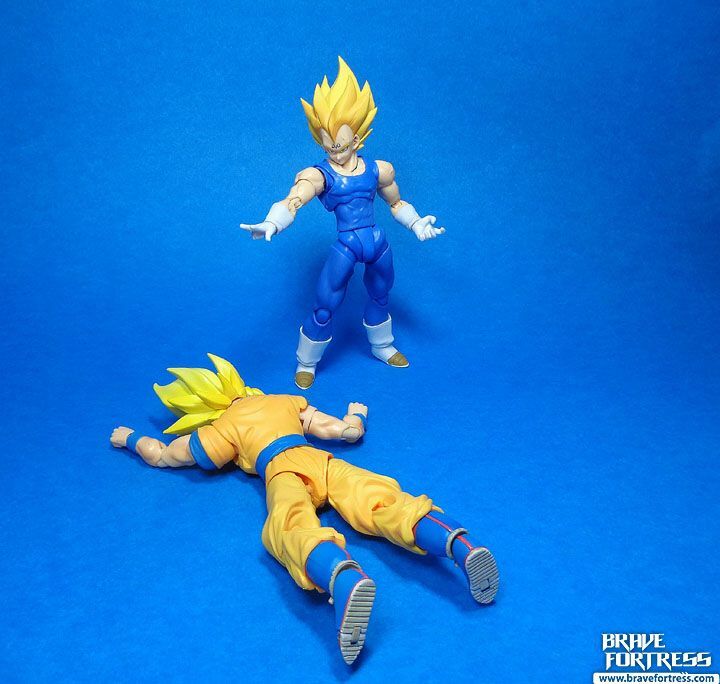 Vegeta sucker punched Goku at the end of the battle. 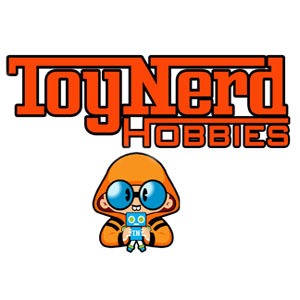 The dirty scoundrel….